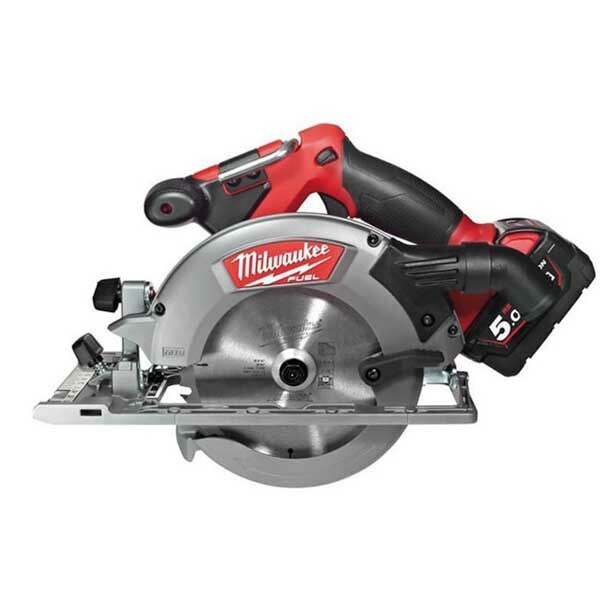 The Milwaukee circular saws are a great way to cut accurately and with ease due to their cutting edge technology. Available from SGS Engineering is the M18CCS55-0 Circular Saw which has 50° bevel capacity with magnesium upper and lower guards which provide the user class durability for impact resistance. Also available is the HD18CS-0 Circular Saw which is ideal for a range of applications from plumbing, electrical, framing, carpentry and finishing. Both these circular saws are available in bundles which include the circular saw, battery/batteries and charger. Milwaukee circular saws are at the cutting edge of power tool design and technology. They come with a range of features that make for high performance, accuracy and ease of use. Milwaukee cordless circular saws are heavy duty power tools and they are suitable for use in trade or as high-end DIY tools. The Milwaukee M18 circular saw is the flagship product within the range and hosts many design features that make it second to none. An integrated dust blower helps you to keep the cut line straight and true, while a hang hook makes for safe storage. You can use the Milwaukee M18 circular saw to cut bevelled edges at up to 50 degrees and the magnesium show is light and durable. The magnesium guards, meanwhile, provide safe handling and aid impact resistance. The Milwaukee 18v Circular Saw utilises the POWERSTATE brushless motor, a trademark of Milwaukee, and also the REDLITHIOM Fuel system. Together these 2 innovations provide power that is long lasting and that boasts superior speed, torque and durability. The technology used in Milwaukee circular saws and their range of power tool products, is underpinned by REDLINK Intelligence that ensures overheating or overloading does not occur, keeping the saw working at an optimum and those using it safe. Purchase a Milwaukee cordless circular saw from SGS Engineering today and experience what it’s like to work with the technology of tomorrow every day. We want to help our customers find the right power tools for their needs and tasks. That's why, we’ve created a variety of how-to guides that explain everything from how to choose to how to use. Follow this link to find a variety of useful help and advice guides about power tools.